Most #0 issues essentially set the scene. Not Secret Empire #0 - this dives straight into the plot. If you want to know what's going on in Marvel, don't sleep on this one. In the medium-term, Marvel’s planning to pivot away from the more politically-charged stories we’ve seen in recent years. 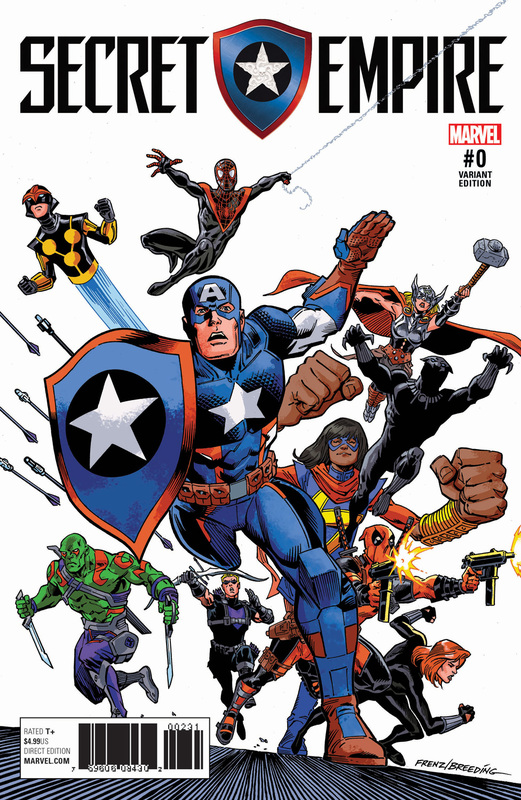 In the short-term, though, that era is about to get one last hurrah in the form of Secret Empire. The event is the culmination of a story Nick Spencer’s been working on for over a year. He’s ably supported by Daniel Acuna and Rod Reis, but make no mistake about it, this is Spencer’s tale. 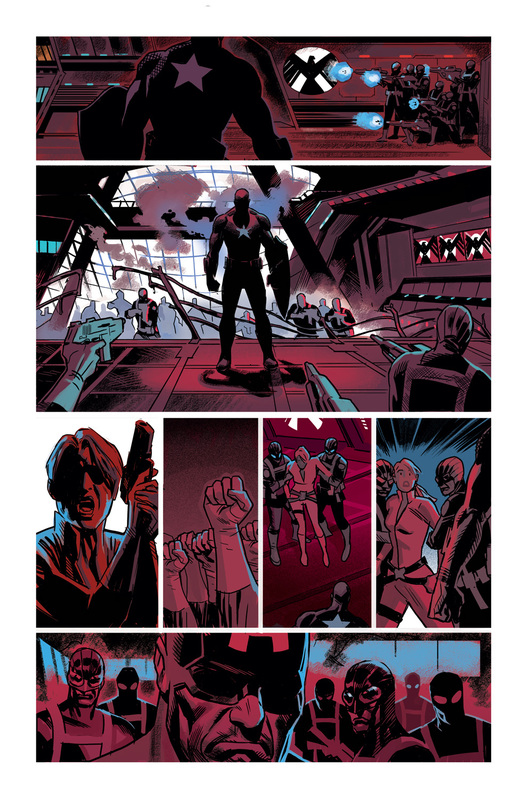 You can’t have failed to hear about the hue and cry; last year’s Captain America: Steve Rogers #1 revealed that Captain America himself was actually an agent of Hydra. Since then, we’ve gradually learned the truth; that the Red Skull had Rogers’s life rewritten by the reality-warping power of a living Cosmic Cube. It’s a dark, dangerous plot – and it’s proved to be deeply controversial. Both Nick Spencer and Tom Brevoort have received death-threats over it. Personally, I’m always willing to give a story a chance, and Secret Empire #0 is the proof that I made the right call. #0 issues are a strange tradition in comics. They’re usually pretty irrelevant, setting the scene for the main event. 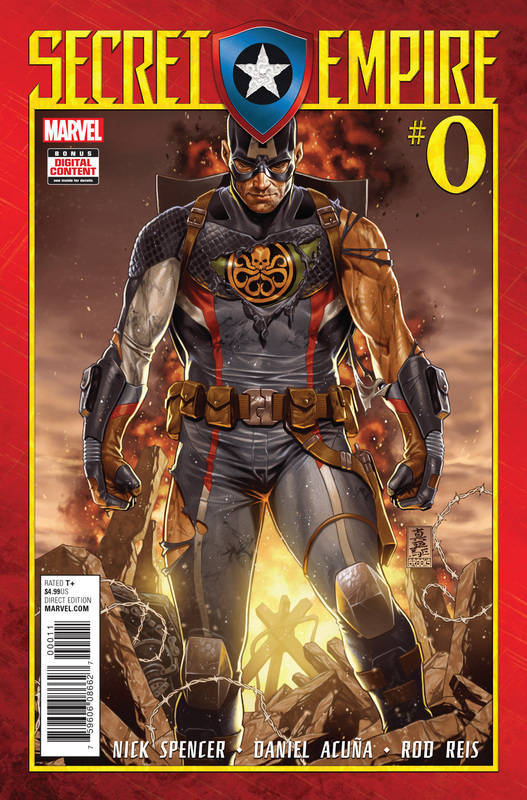 In this case, though, Secret Empire #0 is essential reading, radically changing the status quo of the Marvel Universe. Everything in Secret Empire flows from this. At heart, this issue is all about Steve Rogers kicking his plan into gear. If you ever doubted the tactical brilliance of Captain America, just read this book. We finally learn why the Chitauri are invading en masse, and it’s nothing more than a ruse to get some of the world’s most powerful superheroes on the outside of the planetary defence shield. At the same time, Cap arranges for the rest of the world’s A-list superheroes to be drawn to New York – and contained. The ease with which he pulls that move off is, frankly, breathtaking. Not that everything goes Steve’s way, of course. The issue also features the beginning of the resistance – the AI version of Tony Stark and his student Riri Williams. These two evade Cap’s traps, and by the issue’s end they’re already at the center of the fight-back. We’d been told that Secret Empire would see the heroes unite against the threat of Captain America’s Hydra, and you can already see the seeds of that. As horrific as it is to imagine Steve Rogers as Hydra’s greatest leader, this should unite the Marvel Universe as never before. One thing many fans will be pleased about is that the overt politicizing of Spencer’s story seems to have lessened a little. 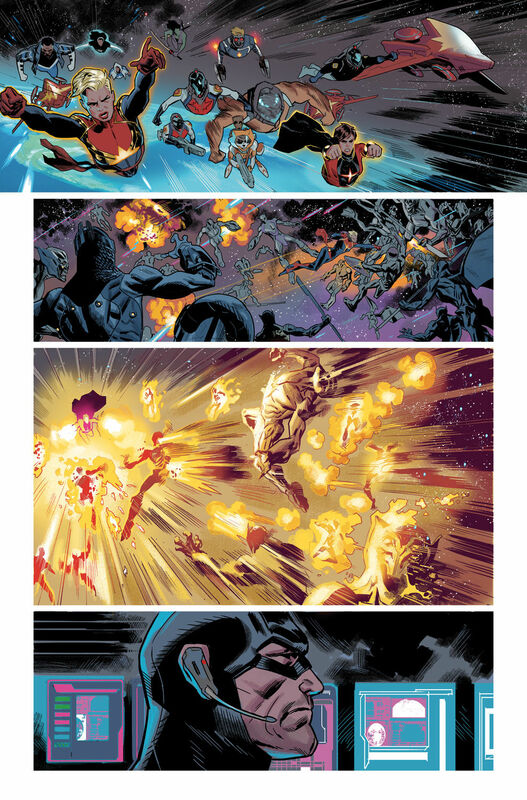 Civil War II: The Oath may have set the groundwork for this tale, but Secret Empire #0 doesn’t have the same kind of ‘beat-you-over-the-head-with-it’ imagery. 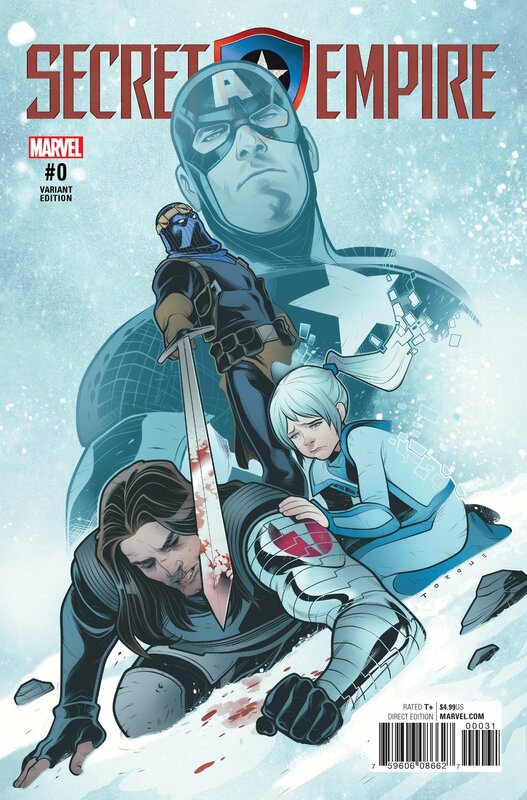 With Steve Rogers now heading to Washington DC, though, fans are sure to be worried; we’ve already seen a vision of how that could play out in last year’s Civil War II #8. There’s one final part of the comic that needs to be mentioned, though; the introduction. The opening scenes are tremendous, and frankly, they’re deeply disturbing. They explain a strange plot-thread that’s been running through the comics, where Steve seems to actually be aware his life was rewritten. It turns out that he is aware; he’s just not bothered about it. Because he believes his life was rewritten twice. That plot development is sure to be deeply, deeply controversial. In closing, I’m aware that ‘event fatigue’ is a real problem. 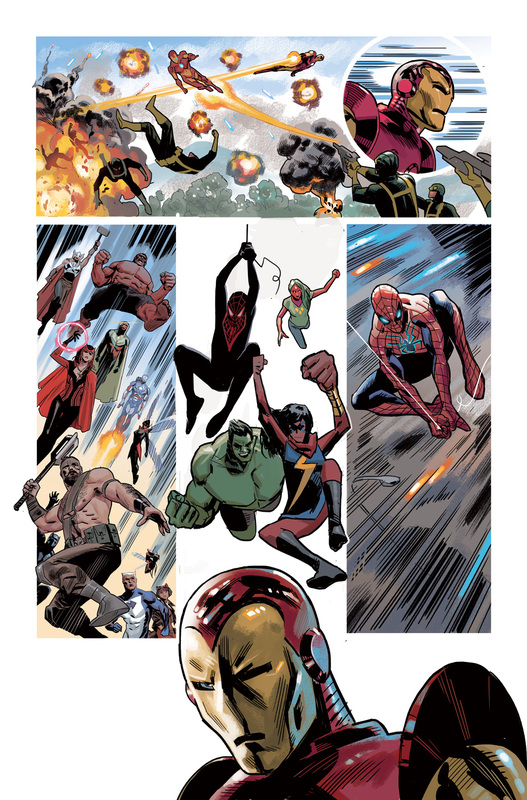 If Marvel’s to be believed though, this will be the last line-wide event for 18 months or more – and if that’s really the case, it looks as though we’re closing them off on a high note. 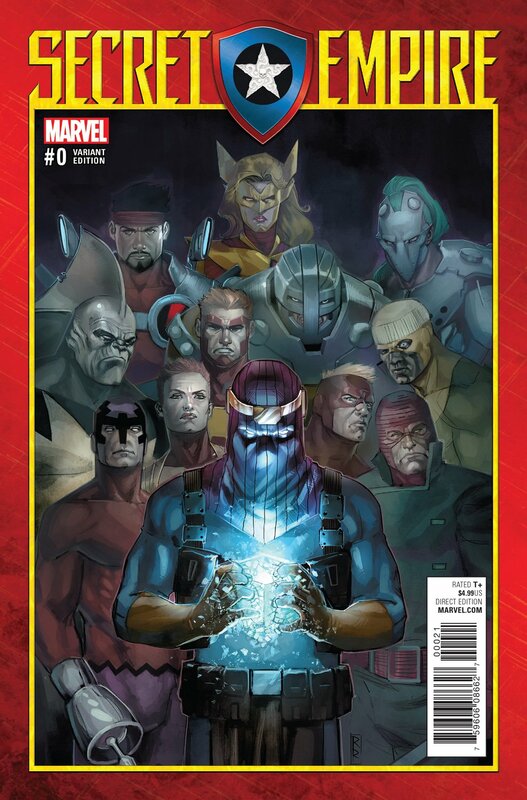 Don’t sleep on this one, Secret Empire #0 is a can’t miss issue.